(Newser) – The debut of Tesla's big rig truck, the Tesla Semi, has been pushed back for at least the second time this year, Reuters reports. Elon Musk tweeted Friday that the public now won't get its first look at the truck until Nov. 16. According to TechCrunch, the Tesla Semi was supposed to debut Oct. 26 after an initial unveiling in September was pushed back. 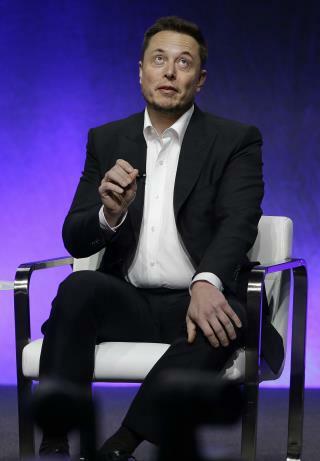 Musk says the company is diverting resources from the Tesla Semi to fix "production bottlenecks" for its Model 3 and increase battery production to help restore electricity in Puerto Rico. "Other needs are greater right now," Musk told a Twitter user asking about the truck. Next on Newser: Test for the Left: Will Weinstein Get a Pass After Allegations? Totally predicted by Wall Street but they still seem to be keeping the stock high. It looks like they are trying to setup a big short and Musk is being unrealistic to pressure it. Why does Newser keep demonizing this man? Is it because he's white and a little rich?